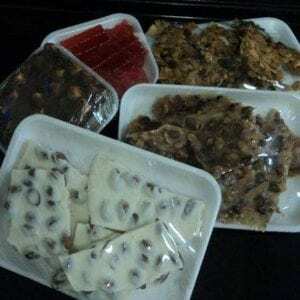 Five and one-half dozen assorted Christmas cookies, bars and candies. A sample of all our wonderful treats. 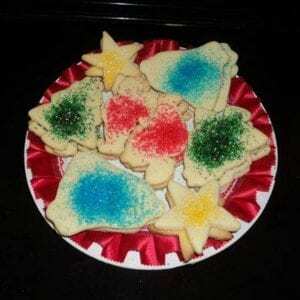 Two dozen sugar cut-out cookies: Santas, bells, stars and trees. 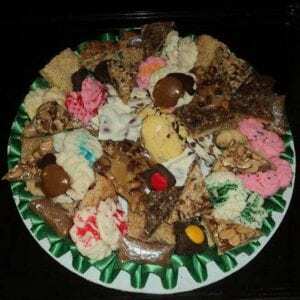 Fifty-two pieces of our homemade candy arranged on a holiday plate. Fudge, caramel, anise, peanut brittle, chop suey and almond bark. Just to name a few. 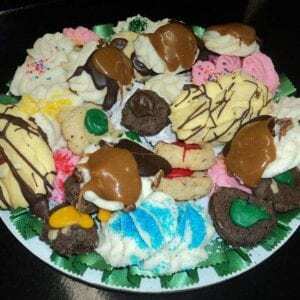 A delicious assortment of our favorite Christmas cookies. All made with real butter. Russian Tea, thumbprints, and a variety of spritz cookies. All arranged on a festive holiday tray. 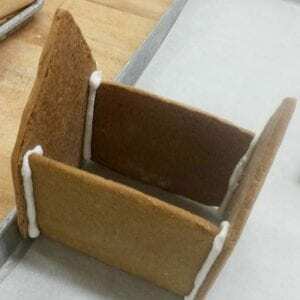 Bake your own gingerbread house and gingerbread cookies. Tom and Jerry mix. 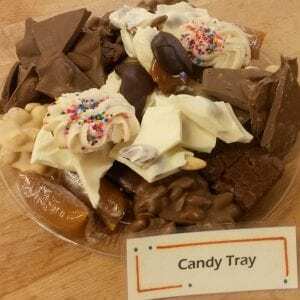 We love candy and you will too! 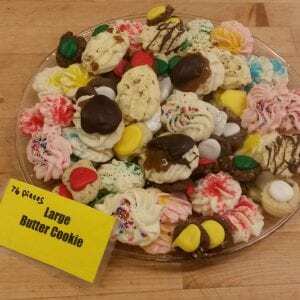 Try our delicious candies made ready for you!